Four-time British Superbikes champion Shane ‘Shakey’ Byrne is looking to open up a bigger lead in the standings as the riders head to Oulton Park. In the opening round of the season, the 38-year-old reigning champ sealed a victory at Donington Park, and has gone on to record three second place finishes, which has seen him develop a six-point lead, as the racers head to Cheshire next. Byrne and his PBM Kawasaki team will have been encouraged by a positive test run at Oulton Park recently, with the London-based rider recording a second place finish and posting a time, much less than the current lap record. Speaking of the test run, Byrne was in high spirits and said: “We had a really positive test last week at Oulton Park and for me that was an ideal way to prepare for this weekend. Meanwhile, Huddersfield rider Tom Tunstall has his sights on points in Cheshire. Tunstall looked good at Donington Park, before getting knocked off at Brands Hatch, though the Doodson Motorsport Kawasaki racer is positive about the rest of the season. “We’ve had a mixed start to the season,” said Tunstall. “What with getting knocked off in the race in what was otherwise a strong weekend at Donington Park, it was encouraging at Brands. “I was struggling the bike over the weekend at Brands – I tried to ride through the issues, but that wasn’t possible in the race,” he continued. Tunstall also feels his bike is getting closer to where he wants it to be. 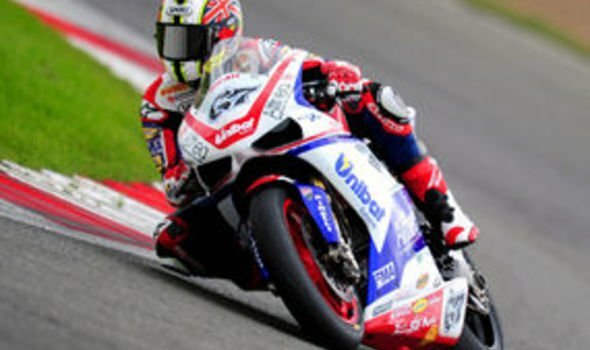 “We had a good test at Oulton Park last week and lapped faster than I ever have done on a Superstock bike,” he said. “It also helped us to answer some questions that were raised at Brands Hatch regarding set-up, which was great too. We’ve still got some work to do when we get to Oulton, but at least we’ve laid some good foundations. “It’s not the sort of track you want to fight especially on a 1000cc bike, it’s important to get a good flow there and the work we did last week helped that. However, all eyes will likely be on Byrne, as the London rider aims to further extend his lead, and emulate the accomplishment of a man born not too far away from him, though, who is prospering in Formula One, with odds for this season available on price comparison site Bookies.com. Reigning champion Lewis Hamilton tops the leaderboard, and will go into his next race in Spain, flying the flag not only for Great Britain, but also the capital, with fellow Londoner Byrne also on top in British Superbikes.